In the 1990s, in the early years of the information technology revolution, economist Robert Solow famously commented that “you can see the computer age everywhere but in the productivity statistics.” Two decades on, that still rings true. Social life has been profoundly transformed by new technology: It has altered the way we communicate with friends and family, how we entertain ourselves, and even how we date. When I read Douglas Adams’ Hitchhiker’s Guide to the Galaxy in the early 2000s, the titular device still seemed like a fantastical idea: a handheld device you could use to access information (much of it inaccurate or incomplete) on anything, from anywhere. Now, we all have smartphones. But productivity growth has stubbornly failed to take off over this period. Does this mean that technological progress has failed to deliver? Measures of productivity are based on the sum total of goods and services the economy produces for sale. But many digital-era products are given away for free, and so never have an opportunity to show themselves in GDP statistics. Take Google Maps. I have a crap sense of direction, so it’s no exaggeration to say Google Maps has changed my life. I would pay hundreds of dollars a year for the product. In practice, I pay nothing. In terms of its direct contribution to GDP, Google Maps boosts Google’s advertising business by feeding my data back to the company so they can target ads more effectively, and it probably boosts the amount of money I fork over to Verizon for my data plan. But that’s not worth hundreds of dollars to Google, or to the economy as a whole. The result is that GDP data might undercount the value of Google Maps in a way it didn’t undercount the value of, say, Garmin GPS devices. As Klein goes on to observe, ICTs have transformed our leisure time more than our work time – in large part, by giving us many more choices about where to dine, what television shows to watch, and who to talk to. Interestingly, what’s true for technology might also be true for cities. The conventional narrative about agglomeration economies – the economic benefits of scale and density – is that their main effect is to lift productivity. But, as Stu and I have discussed in the past, there’s an increasing body of evidence that suggests that agglomeration also has significant benefits for consumers. In recent years, economists have used micro-data on household consumption patterns to build a much richer picture of the impact of city size and structure on consumption choices. In short, larger cities don’t always offer lower prices – as you’d expect if higher productivity made it cheaper to produce goods and services. But they do offer a much greater variety of goods and services, which in turn translates into higher wellbeing for households. There are approximately four times more types of grocery products available in New York [metro population 21 million] than in Des Moines [population 456,000]. When we use the data to construct a theoretically rigorous price index that corrects for product, purchaser, and retailer heterogeneity and accounts for variety differences across locations, we find that the price level is actually lower in larger cities. Consumers spend less, on average, to get the same amount of consumption utility in larger cities. For the 182 cities in the top quartile by land area of my data (mean population 331,000), a one standard deviation increase in log population is associated with a 57% increase in the count of unique cuisines. A one standard deviation decrease in log land area–which increases population density without changing the size of the population–is associated with a 10% increase in cuisine count, equivalent to increasing the percentage of the population with a college degree by one standard deviation and larger than the effect of increasing the ethnic population associated with each cuisine by one standard deviation. What does this mean for urban policy? I think there are two main lessons. The first is that although agglomeration economies in production are important to long-run economic outcomes, we might be looking for the benefits of cities in the wrong places. They might not always appear in productivity statistics or price indices, but in the consumption choices that cities offer people. Measuring variety – and how people respond to it – is therefore crucial to understanding agglomeration economies. The second is that conventional urban policy might be based on false premises. Ever since the “dark Satanic mills” of the Industrial Revolution, policymakers have assumed that cities are good for businesses but bad for people. Accordingly, they designed transport systems and planning policies that aimed to disperse the city and to separate people from their workplaces and from each other. That made sense when cholera was a major cause of death, but it’s increasingly illogical in today’s world. Urban disamenities such as air quality, crime rates, and infectious diseases are all improving, and the evidence increasingly shows that the consumer choices offered by cities (and dense urban places) have benefits for households. In this context, policies that enable urbanisation are likely to have larger benefits than commonly assumed. What do you think about the role of consumer choice in cities? I agree: Agglomeration economies in consumption are critically important. You are correct to say that economists have traditionally focused on the fact that wages are higher in cities, and gone scurrying off looking for productivity enhancing microeconomic channels, such as thicker labour markets and knowledge spillovers. Such benefits are all well and good, but production is but one side of the welfare coin; it’s a means to an end: Consumption. And the reality is that cities are increasingly powerhouses of consumption. As your note with your reference to relationships, cities do not just offer consumption opportunities in the form of goods and services either: They’re also where people meet, have fun together, and form relationships. In terms of literature, I always feel compelled to tip my historical hat to Jane Roback, for her seminal paper “Wages, rents, and quality of life”. Published in the Journal of Political Economy way back in 1982, Roback’s paper was one of the first to analyse locations as tied bundles of wages, rents, and amenities. Even now 30 years later I still find myself referencing that paper whenever I talk about agglomeration economies in consumption. Standing on the shoulders of giants etc. Simple observation supports this thesis. The ‘return of the city’ or ‘the great inversion’, are the broad and observable trends that you describe above all over the western world. People are piling into apartments on the waterfronts and elsewhere because it’s cool, they want to be right there in the thick of it, they want choice and action at their doorstep. Primarily for the increased consumption opportunities as you say. This is a change not only from the flight from smokestack cities and the diseases of close co-habitation of the 19thC, but particularly from the sprawl age after WWII. Is clearly observable in the Auckland City Centre, where the american phrase CBD is now inaccurate as people have returned. Interestingly I think your description of the driver for this return being lifestyle rather than production efficiencies is increasing. Instead of cheap apartments near education we are seeing many more urban dwellings being sought by those that a generation ago wouldn’t have dreamt of living anywhere urban. This is a change. And it is likely to be a self-reinforcing one; more demand choice = more supply, and so on. It is not clear that at the highest levels that AT understand that this means a considerable change in urban landuse. The city centre can no longer be kept as a US CBD; blank streets among towers, programmed for vehicle speed, and pedestrians left to chance their luck across traffic sewers. 73% of the Auckland CBD population is asian, most of whom are new arrivals to the country. Kiwis are not turning to inner city living in any great numbers at all. The CBD population is growing because we have massive asian immigration, and they settle in the manner they are used to. Ask the average kiwi around the country “would you want to live in the Auckland CBD?” and you’ll be given a lesson in language and facial expressions that is quite bemusing! How can I determine who is a Kiwi Geoff? How long do they have to have been living here, how many generations? Are you just making up numbers to suit some sort of racist agenda Geoff, or did you just hear that down the pub and took it as gospel? A quick check of the Census data indicates the Auckland city centre area units have between 31% and 58% asian residents, similar proportions to varied places such as New Lynn, Epsom, Sunnybrae and Botany. In downtown Auckland 58% of residents reported European ethnicity in the Census. Of course it’s full of asian immigrants because you saw some students hanging around Queen St one time, but actually no. Oh Nick you and your “facts”. Geoff has been doing some high level research at bbqs with his mates and also letters to the editor in NZ Herald. You and your “data” cant compete with that kind of powerful anecdote. Are you serious Geoff? Been watching too much of Farrage or something? Leave your racist thoughts at the door, along with your made made up numbers. Accordingly, they designed transport systems and planning policies that aimed to disperse the city and to separate people from their workplaces and from each other. People chose where to live and planners were responsive to their wishes. Planners who tell people where to live or work with scant regard for their preferences are extremely detrimental to the health of a city. Urban disamenities such as air quality, crime rates, and infectious diseases are all improving, and the evidence increasingly shows that the consumer choices offered by cities (and dense urban places) have benefits for households. Yes, and people want to live in the City of Auckland. Unfortunately our council prefer that they do not and have put in place the policies that retard urban growth in Auckland. Auckland Council is choking off land supply to Auckland City and urban development has been pitiful. actually Angus many highways, both in NZ and the US, were developed before suburbanisation was in full flight. Baum-Snow (2007) is a nice study of this relationship. Policy makers decided highways were the future, and provided accordingly. The fact is that highway systems were centrally-planned and highly subsidised from the get-go, and in many respects many still are now. The Waikato Expressway, for example, probably has a cost recovery of about 30%. Of course, the enormous waste of this project is hidden within an NTLF that includes many roads (and even PT services) that operate close to or in excess of 100% cost recovery. “In other words, cities that are larger or denser offer people more choices about where and what to eat.” Maybe that is not all a positive thing. Perhaps dense cities where people have a 25sqm studio don’t sit in their room on their own boiling up 2 minute noodles on their single gas ring as it is lonely and makes their bed damp. Maybe people in the burbs with a large kitchen are actually on a higher utility curve. And yet people still make a choice to the studio so they muddy consider it to be a higher utility. I think what he’s saying is that when you remove cost as a constraint, no one would choose to live in an apartment. Admittedly this is a specious argument. Suburbanists all seem to generalise their own particular tastes. I don’t know why it is so important for them insist that we are all the same; insecurity, perhaps? Insecure people generally do want to limit other people’s choices. Insecure people assume others are trying to limit their own choices even when other people haven’t said that in their comment. Try reading what I said rather than just providing your own value judgements. But unfortunately that’s the way that Auckland tends to argue things. Houses too expensive? You have to buy an apartment. Not enough space for all these extra people to live? We have to increase density. Too much congestion? We have to have better public transport. Everything is pitched as something we’re forced into to solve a problem, rather than being good things in their own right that we should aspire to, even if we don’t have to. Except apartments are more expensive still. Ten times as much per square metre, and greatly eroded rights as you willingly join the “corporate body”, whatever that is. Some kind of socialist concept no doubt? I wonder what would happen if an apartment “owner” (not really) painted their outside wall a different colour? Non-conformist! Out! Yes Sailor Boy has forgotten about the the budget constraint and No my argument isn’t specious. Living in a small apartment or at an extreme in a dormitory means you can have density but without much amenity. The fact there are more eateries and more types of eateries doesn’t imply people are better off. Yet that is what Peter is inferring. Try eating healthy while living in a little room sometime, it isn’t easy. yes your argument is somewhat specious, because you talk as if everyone has the same preferences. In reality there’s huge heterogeneity in what people prefer. What Peter and others are saying is that there are sufficient numbers of people who do derive considerable utility from dense urban places, not just because of the jobs that are on offer there but also the diversity opportunities for socio-economic exchange. What you’re saying is that there’s also people whose preferences draw them towards sleepy suburbs. I completely agree with you, but answer me this: Do you think Auckland needs 1) more sleepy suburbs or 2) more lively neighbourhoods? Given the number of highly educated NZers living in world class cities like Sydney, Melbourne, London, and other places I’d suggest that #2 is where Auckland is lacking right now. The marginal benefits of developing more lively suburbs seem very high to me. If we remove price I would still choose an apartment. But even if that isn’t the case for the majority of people we can’t ignore the cost. The comparison isn’t a house or an apartment is a house or an apartment, $200/week, and his less traveling places. yes, and the price of housing can’t be considering independently from other attributes. For example, if you look at rents in isolation then you miss the fact that apartment have lower transport and energy costs than a modern home. A lot of these savings, as well as preferences for benefits, will be capitalised into what people are willing to pay for apartments. Your argument is also specious because we have a lot of scope to build more density (smaller houses, duplexes, townhouses, small townhouses, apartments, big apartments, small apartments) before we arrive at tiny apartments. Boiling up your noodles in your large kitchen will be every bit as lonely. At least in a city you can actually go to a restaurant or a pub. In the suburbs on the other hand, too bad, but the mall is closed. And I just don’t understand this argument. For more density than what we get with large free-standing houses, we don’t have to jump straight to tiny apartments. In European cities the building type of choice in the more central residential areas is terraced housing, even in new developments. Even without adding in any high or medium rise these areas still have maybe twice the density of inner city suburbs in Auckland. We just have to figure out how to use the space on these smaller lots. In Belgium you see terraced housing everywhere, on lots under 250 m², and those houses still have enough space in the back to organise that big barbecue for your family, and space in the front to park your two cars. On the other hand, how many houses over here are on lots of twice that area, but with barely enough space between the house and the fences to squeeze in your grill? 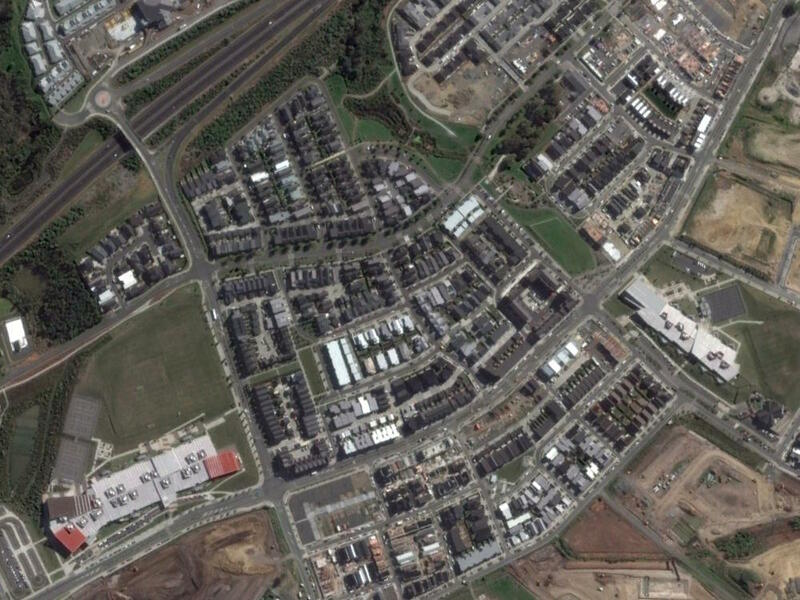 Current ‘Single lot’ density results in the sausage flats we see scattered around the city, which don’t offer many opportunities for quality design outcomes such as solar orientation, outdoor space, privacy, access etc. An Urban Development Authority will go some way to rectifying this. Terraced houses in Europe works basically the same as freestanding houses, but without setbacks on the side. 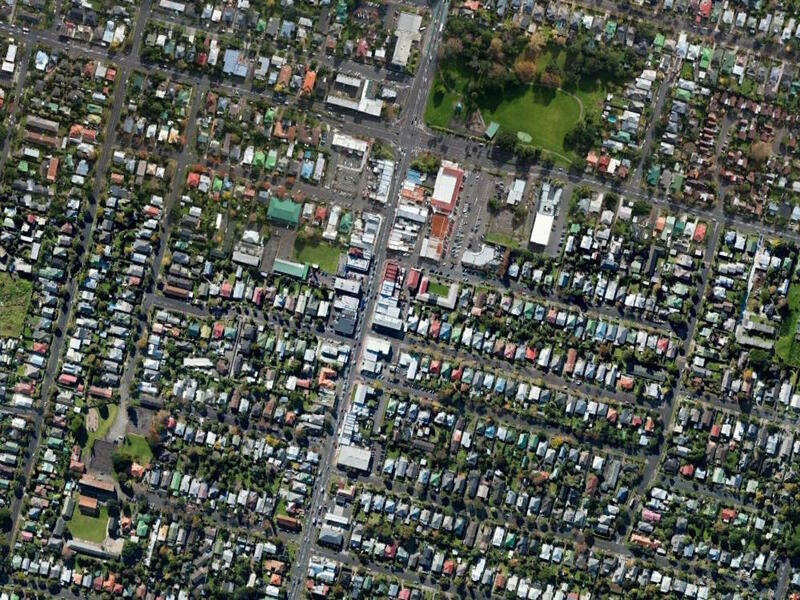 If you see a row of 20 terraced houses, that’s 20 individual sections with a single house on each section—no big land owner involved. They’re built and maintained independently of one other. No body cooperates. No common owners. You can build terraced houses one lot at a time, the problem is balancing your right to build with the rights of your neighbours. It’s not uncommon on older streets in Belgium to see houses on lots which are 5 metre wide, and 40 or even 50 metres deep (or even much more). Not ideal indeed. Even then, you can have your trees in the back of your yard if you like leafiness. You actually have some space to play catch, or put a paddle pool or trampoline outside, put up little soccer goals or a badminton net, and so on. On the other hand, the preferred way here of building subdivisions recently seems to mean: fill up the entire lot with the driveway, parking, and the house. If you’re lucky you have a little corner outside somewhere between your house and your fences. And note above I’m talking about only 200 to 250 sqm of land. These houses often are on more than 400 sqm. Why are these built this way? It seems like such a dysfunctional way to arrange houses. Perhaps it’s my different background, but I just don’t get it. Both links above show areas with similar density. Maybe the one from Belgium is a bit more dense. And it is at the same time a lot more greener. Add to that transport efficiency is also a key. For example city with low mobility, residences are restricted to their local shops and restaurants, which limits the shops catchment population to offer diverse goods. In city with good mass transit such as tokyo, 10 millions of people can access the central subway station by rail within 30minutes. What that means is the malls are ten storeys high and there are ten malls near one train station all linked together by air bridges. There will be thousands of shops within minutes walk. In contrast to new zealand, car travel has a efficiency limit before congestion and parking kick in. Therefore any given shops and restaurants can only serves 5km catchment area. Therefore all westfields malls has a capped catchment population of 100k. In that case westfield malls are subject to low catchment limit, so all of the weatfields has the same shops and sells the same stuff and restricted to 200 shops max. In other word, malls cannot upgrade by adding shops, instead they build another mall that sells the same stuff somewhere else. 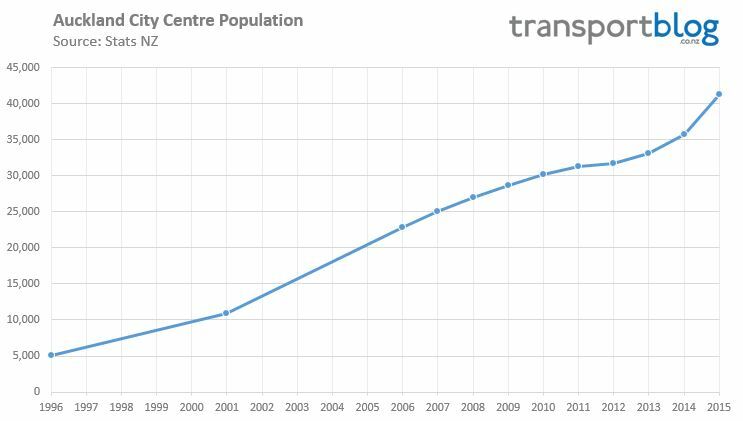 Auckland cbd is the only hope, but that is subject to How efficient is our pt network. Add to that, there are high density city high population cities in india and brazil, however some places has very inefficient public transport. People are restricted to walk only. So the shops catchment area is only 500m radius. Despite high population and high density, there wont be many huge malls and dinner complex like tokyo.